Lately, I've been having a hard time figuring out what to cook. And my husband is of no help in that area, whatever I cook he eats unless he craves for something. Every time I ask him what he wants for breakfast, lunch, or supper his response will just be the same - "surprise me" or "non-spicy Filipino food" (Thank you Dear for being so helpful!!! - your sarcastic wife) To be honest, I have ran out of ideas. My appetite seems to be out of sort for quite sometime now. I have no cravings of any kind. That is to my own benefit I believe so. My body is already finding ways for me not to consume more food than I can take not only because of my problematic gut but because I have gained weight, like 2 kg in 2 months time (I hate having a digital weighing scale). My doctor said it was a good sign and that it shows I am healthy and recovering. I think the doctors concept of healthy in this side of the world is huge, chubby, and fat. In Singapore, healthy means thin, slim, slender, whatever other synonyms you can think of. In the Philippines, uuuhhhmmm not sure what the concept of "healthy" means there but I am sure it is not skin-and-bone thin nor having a big tummy or unwanted fats. Anyways, when I cooked this pininyahang manok sa gata, I wasn't actually thinking of such dish. I just removed the chicken thighs from the freezer and thawed it and hoping that it will magically turn itself into something edible. After 2 hours, it was still the same chicken carcass I left by the kitchen sink, defroze, however. 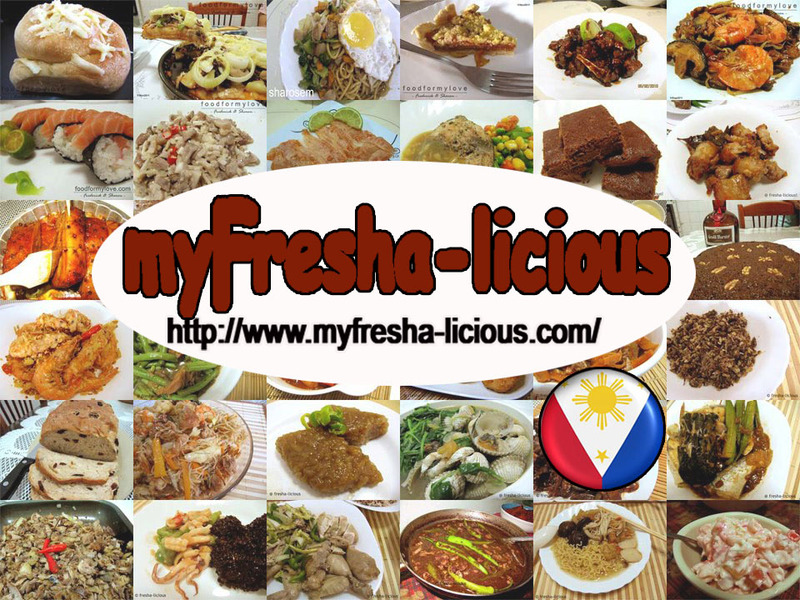 Toying with my blog, I realized that I still am short of ginataan recipes so I decided to cook ginataan. We have no vegetables left except fo cauliflower and saluyot (jute) leaves so I decided to go with pininyahang manok since we have loads of canned pineapple in stock. 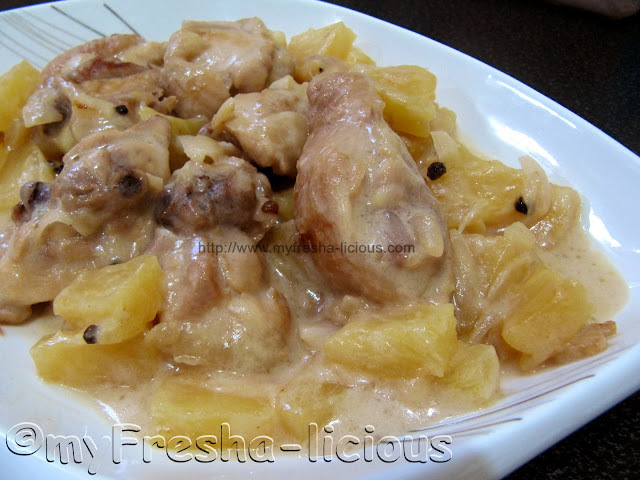 Pininyahang manok is basically, chicken with pineapple. In most households, they cook this dish using evaporated milk. I usually do that too, add milk to my pininyahang manok I mean, but since this week is for ginataan dishes, then I used coconut powder instead. So here is my simple pininyahang manok recipe. Put the oil and the garlic in a large frying pan or pot and sauté garlic in it in medium fire. Add the ginger and the onion and stir until aromatic. Add in the chicken cuts and pan sear the meat until the chicken’s own oil comes out and all sides turn brown. Pour 2 cups of water or just enough to cover the chicken then add the pineapple syrup, fish sauce, and black peppercorns. Cover the pan or pot and bring the chicken to a boil and simmer for at least 15 minutes.